Build a SOQI workshop - Not only take care of everyone's health, it also can turn it into a successful business. HTE developed the SOQI Health Management concept as a simple new way to build a successful home based business that is simple to establish, profitable, and can be copied to form a successful business. 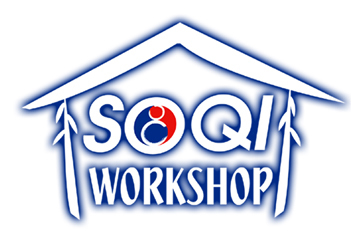 From SOQI Home Spa, Distributors who want to bring their business along to a new level of success, can setup a Soqi Workshop. This demo and service center allows more customers to visit and experience the SOQI Spa. Its also can be used as a centre by distributors for networking The owner can benefit from the health and wellness industry to explore this unique business opportunity. This SOQI Home Spa / Workshop combine Distributor networks with a retail store setting to give you a strong competitive advantage. Storefronts can increase sales and visibility, jumpstart a business, and increase networking opportunities. In addition, the SOQI Home Spa / Workshop incorporate the “SOQI Total Health Management” concept which optimizes your success for a profitable business. With the SOQI Home Spa/Workshop, you use your networking contacts to develop a strong customer base. Then, from that customer base, develop a distributor network, which in turn, expands your business through their networking contacts. This may be the best choice in getting your career going with HTE!